The A-Designs Audio 500 microphone preamp series is comprised of five different 500 series-compatible mic/line pres, each one meticulously voiced with a specific sonic functionality in mind. 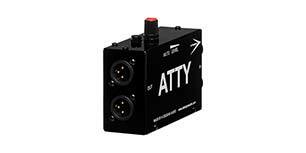 These units are physically compatible with any API or VPR Alliance mounting device, and also meet the precise power rating requirements necessary to function perfectly from the moment you plug them in. A basic understanding of electronic components and how their inherent physical qualities affect sound is helpful in selecting the proper module for the right application. Transformers occupy a key position in circuit design due to their ability to affect timbral quality. 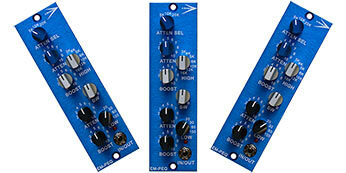 Apart from the utilitarian task of electronic isolation for noise-free operation, the alloys used for the transformer’s winding - along with the number of windings - will impart a distinct sonic quality: nickel-wound transformers provide a more transparent sound with an airy high end, while steel can impart a thick “Neve-like” midrange or low-end “API growl”…you get the idea. 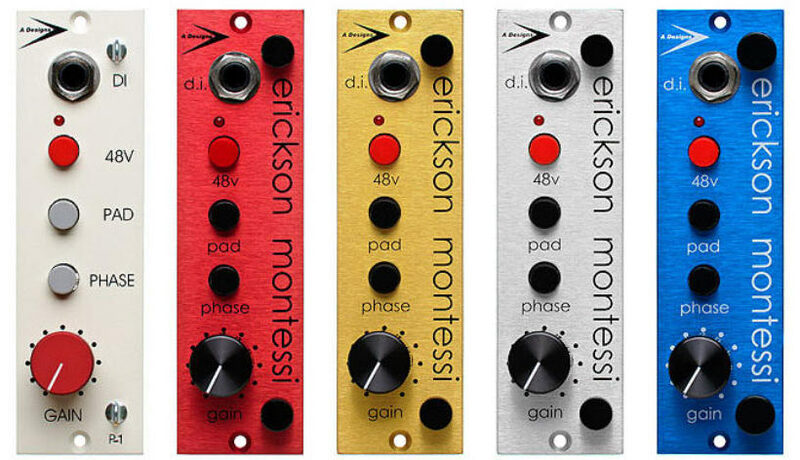 To give each preamp in the A-Designs Audio EM-Series its own unique character, each has custom-wound transformers using proprietary A-Designs alloys that have been painstakingly tested to produce the perfect sound for the right application….but that doesn’t mean that the EM-Series preamps are one-trick ponies - far from it! 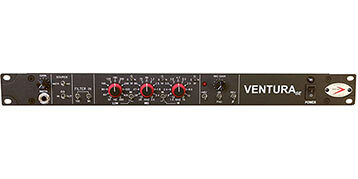 What it does mean is that decades of collective experience between A-Designs Audio and highly respected audio professionals have taken the guesswork out of finding the right preamp for the job. 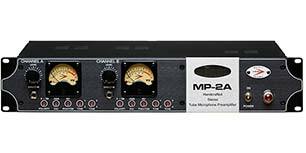 Think of each of the EM series preamps as the master of a specific domain in the frequency spectrum. 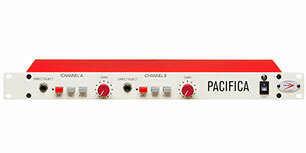 The P-1 has the highest fidelity of all the A-Designs Audio 500 preamps, capturing the mojo of its older and larger sibling, the extremely popular Pacifica. It has a big low end, slightly forward midrange and extended highs. 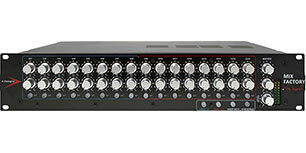 If you’re a fan of the Quad Eight or API sound, you’ll love the P-1! It shines on vocals, instruments, room mics, piano, and on instruments with sharp transients such as drums and various percussion instruments. If you’re building a 500-series unit with drum recording in mind, a pair of P-1s is a superb choice for overheads when you want to capture the entire kit - especially the sizzle of the cymbals. The EM-Gold’s combination of EM-Silver and EM-Red transformers make for the perfect sounding floor tom. 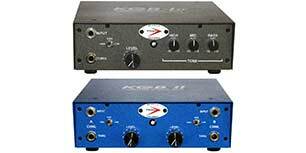 It is also the preamp you should reach for when you want that speaker moving, low/mid thump from heavy guitars. The EM-Gold is ideal for fattening up thin-sounding sources; on mics lacking low mids or upper bass warmth; and mid transients, such as percussion and drums. It also shines on vocals, bass, and even drum machines. If you’re going to move air (the secret of a big sound), go for the Gold.With various combinations of EM-Series modules you can create a 500-series box dedicated to recording drums, or a horn section, or a whole orchestra…or build your own assortment of different flavored individual channels or stereo pairs, avoiding the blandness that can come from having all your tracks recorded with the same sonic characteristics. 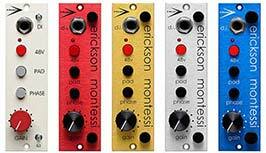 Let A-Designs Audio’s EM-Series 500 modules give you access to a world of color and sound that will inspire both you and your recordings. 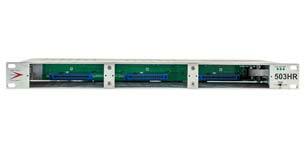 FOR SHIPPING OUTSIDE THE UNITED STATES PLEASE CONTACT US FOR QUOTE. Equipped with a nickel custom-wound output transformer for accentuated highs, the EM-Blue is the brightest sounding of the EM Series. It produces an airier, more top-end oriented tone than its EM-Series brothers and sisters. Many aspects of recording can be counter-intuitive; and, in many cases, you’ll want to pair opposites. For example, when used with a dark-sounding microphone or an alto vocalist, the brighter EM-Blue can open the sound up perfectly. This pre is also useful for providing a crisp “crack” when recording a snare drum. If you use the direct input, you just might fall in love with how an electric guitar sounds going thru its nickel transformers. The EM-Blue has a -20dB pad that enables you to get down and dirty with an electric guitar - just switch in the pad and crank the gain for a slight growl. The EM-Red is the “mid-forward” member of the EM family. It derives its distinctive tone from a combination of an A-Designs proprietary input transformer featuring a unique winding, and a custom wound steel/nickel-wound output transformer (also a proprietary A-Designs alloy ratio). 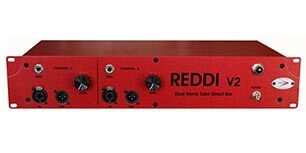 The EM-Red has the extra kick you need with a mic that lacks present midrange (such as the mid-scooped Chinese capsules), or for bringing an instrument forward in the mix. The upfront mids of the EM-Red make it ideal for drums, guitar, bass guitar, and acoustic instruments….in fact, you will find the EM-Red particularly useful when recording acoustic guitar with a condenser microphone. It’s also great for bringing out the resonance and character of rack and floor toms. 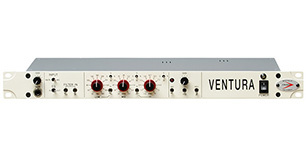 If you like the vintage Neve sound, you’ll love the EM-Silver. It has a darker tone than the P-1, EM-Red, and EM-Blue. Its sound is based on a custom-wound steel output transformer, which makes it an excellent match for ribbon microphones since steel transformers were widely used in the early days of recording and broadcast - it was the combination of steel transformer and ribbon mic that gave broadcasters and singers that “Voice of God” sound that has lit up so many vocal recording and the amplified spoken word for decades. 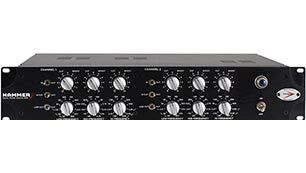 The EM-Silver is an outstanding preamp for bass guitar and keyboards, and is also pretty killer on kick drum. For brighter sound sources, the EM-Silver is the preamp of choice when you want less top end or a vintage-type sound…especially when used with ribbon mics, or on modern, brighter condensers to smooth out top end. And be sure to check out our other 500-series stuff like the BAC-500 compressor and the Electrodyne Summing Station on our sister-company's website: Pete's Place Audio! !